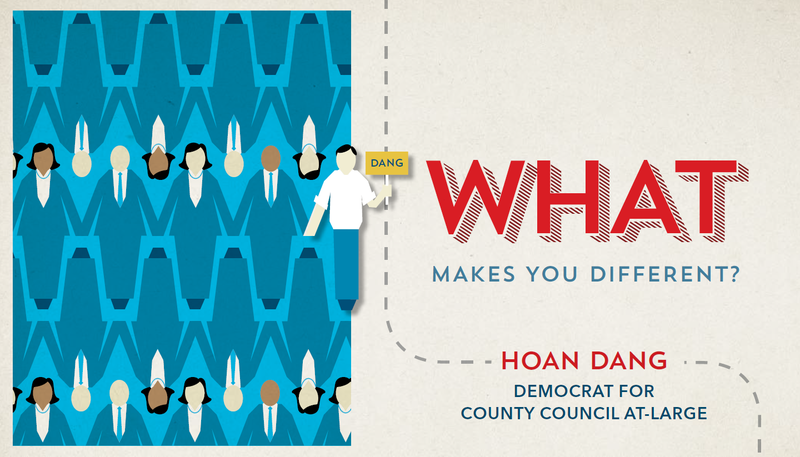 By Hoan Dang, Candidate for Montgomery County Council (At-Large). Life was not easy for me when I came to this country. I was only eight years old when I fled the Vietnam War with my family. Our journey to America began with living in refugee camps, and then in a crammed two-bedroom apartment with 18 other family members. But my parents worked hard to save up, and eventually settled in Bethesda. At first, I thought anywhere was better than what I had previously experienced. But it soon became clear that Montgomery County was a special place. What Montgomery County had to offer us was priceless. The county had families like the Kreckes and the Gustafsons, our neighbors who did not hesitate to welcome us and help us adapt to our new life in America. The county had a strong public education system because I had MCPS teachers who invested in my future even though English wasn’t my first language. The county also had unparalleled opportunities for me to volunteer in my community. In the spring of 1979, I joined the Boy Scouts of America, and eventually, I became an Eagle Scout, which was when I first felt empowered to give back to the community that had given so much to me and my family. These experiences, which had a profound impact on my life, embody the progressive values of Montgomery County. Since leading my first community service project, I have worked hard to uplift our county’s diverse communities for the past 35 years. My public service brought me to work with many others who had stories similar to mine. As former President and Board Chair of the Association of Vietnamese Americans (AVA), I led efforts to resettle over 25,000 refugees and immigrants who needed to secure housing, obtain jobs, prepare for U.S. citizenship tests, and apply for services from government agencies. As a product of our great education system myself, I believe in the importance of investing in students, which is why I have served on the board of the George B. Thomas, Sr. Learning Academy for the past 16 years. During my tenure, the Academy’s flagship Saturday school program has academically uplifted over 3,000 students annually at 12 different locations across Montgomery County. Now, I’m running at-large because I want to ensure that our county remains a safe and welcoming community, with better opportunities for all residents. Montgomery County is a great place to live and work, but we are also facing challenges that demand innovative solutions in local government. The county’s population has almost doubled in the past 40 years, leading to overcrowded schools, horrible traffic congestion, and higher taxes for our residents. With the real threat of shrinking resources from the federal government and a slow-growing economy right here at home, we need a leader on the County Council who has a vision for a better Montgomery County. My vision for our county is a safe and welcoming community, with a booming economy, excellent schools and a fast transportation system, where residents are empowered to better their lives and the lives of others. To achieve this vision, as your next County Councilmember At-Large, I will focus on three main priorities: jobs, education and transportation – which I refer to as “J-E-T”. We must collaborate with small businesses to ensure they receive the critical services, information, and guidance needed to help them grow and create well-paying jobs here in Montgomery County. Job creation is stagnant in our county with projections of just 1% annual growth over the next decade. To stimulate growth, we must change how our county works with business owners to promote entrepreneurship and create well-paying jobs. We can start by changing how our county departments engage with businesses for inquiries, permits and regulatory compliance. Over 70 percent of Montgomery County businesses ranked their interaction with county government as either “average” or “poor” in a recent survey conducted by the County Executive’s Economic Advisory Group. Montgomery County should be a leader in improving interactions with business by making procedures less complex and easier to understand, so that businesses can grow and employ more people. I support many of the regulations the county has in place to protect the environment, workers and our communities, but we can also improve these regulations to better engage the business community. We must also do a better job at promoting our county as an ideal place to do business. Here in Montgomery County, we enjoy a high quality of life, great public schools and excellent public amenities. We also have one of the educated and most diverse workforces with a high number of workers who hold college degrees, many of whom speak a second language. All of these attributes are attractive to prospective companies and crucial for our county to succeed in a 21st century economy. 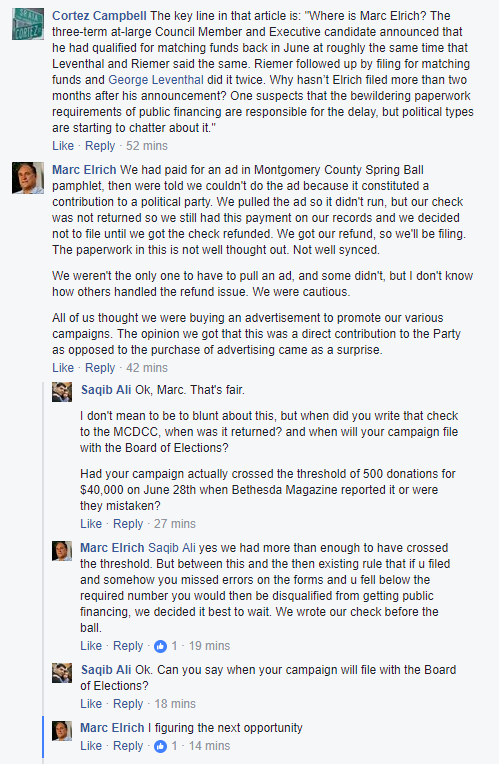 We have a great story to tell about Montgomery County, but we need to do a better job of telling it. Our children need to be prepared for the 21st century workforce. This starts by addressing the overcrowding in schools across the county, by leasing and re-purposing unused commercial space for schools, early childhood education programs, and distance learning. Several jurisdictions across the country (not to mention the world) have already begun using this model, including Fairfax County in Virginia, which recently completed the conversion of a vacant office building into Bailey’s Upper Elementary School. With an office vacancy rate of over 14 percent in the County, I believe there is great potential for an adaptive reuse of these spaces. Additionally, we need to make universal pre-k a reality in Montgomery County. Publicly funded pre-k is available to only 25 percent of all 4-year-old children who live in the County. Trends have shown pre-k education has enormous positive impacts on children, especially for those who come from multi-lingual households. Finally, we need to bring more vocational programs to MCPS to give students more exposure to different career paths such as medical science, construction, and auto repair. Vocational careers are just as vital as careers that require a four-year college degree to our local economy and communities. We need to reduce traffic congestion and increase transportation options by taking a comprehensive and holistic approach to our transportation infrastructure. We need to invest in all transportation modes including trains, buses, roads, bike lanes, sidewalks and everything in-between, including promoting remote work options. We must also support and invest in transportation models that fit the needs of the individual community. The transportation needs in Clarksburg are not the same as the needs in Bethesda, which is why we must consider all available options to reduce traffic congestion. Studies have shown that every dollar spent on infrastructure boosts the economy by two dollars because such investments encourage more businesses to invest and stimulate economic development. One of the most basic responsibilities of government is to ensure people get from point A to point B quickly and safely. I will make it a priority to fulfill that responsibility to residents across the county. 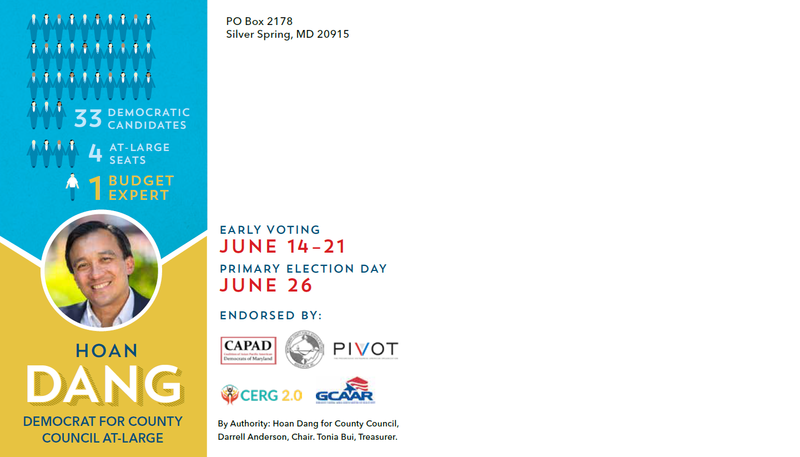 For the past decades, Montgomery County has been served well by a progressive and forward-looking County Council. However, many residents still face intractable and difficult problems, which require new perspectives and approaches in local government to address those problems. 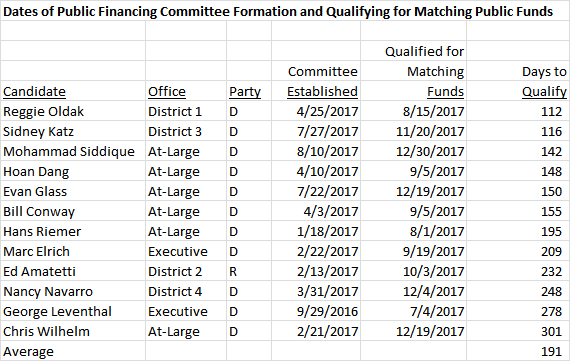 I am committed to bring strong, engaged, and accountable leadership to the County Council and work with our communities as an equal partner for change. 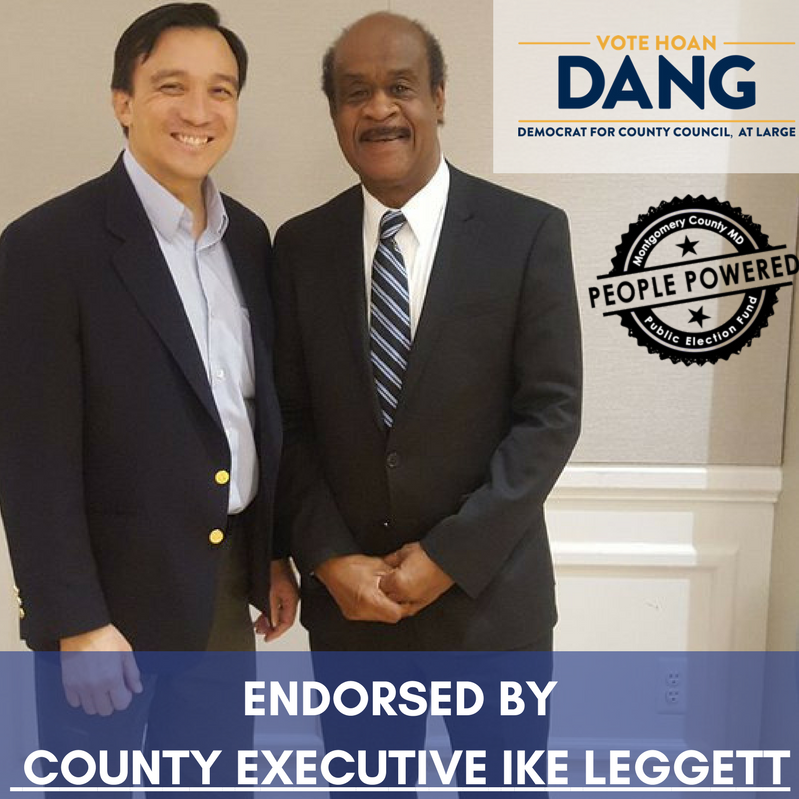 That’s the kind of leadership I want to bring as your next Montgomery County Councilmember, At-Large, and why I respectfully ask for your support and your vote on June 26, 2018.